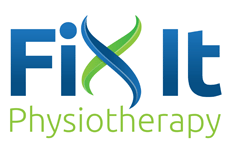 At Fix It Physiotherapy, we aim to provide the best quality physiotherapy service possible to every individual who comes in the door. We guarantee our quality physio services and the cost of seeing a physio here is the cheapest you will find in Newcastle. We also find that our patients heal much faster with our treatment, so you won’t need to keep coming back for countless visits. As a young clinic, our reputation depends on happy customers recommending us to their friends and family, so you can be guaranteed we will be doing our best to make you satisfied. Our physiotherapists are not only highly trained, but are friendly, energetic and kind, and take great pride in seeing their clients make big improvements in their physical condition.